about within me and I thanked Him. I raised silent praise to Him, who, though He made the endless cosmos, could yet make you and me and give us our love. 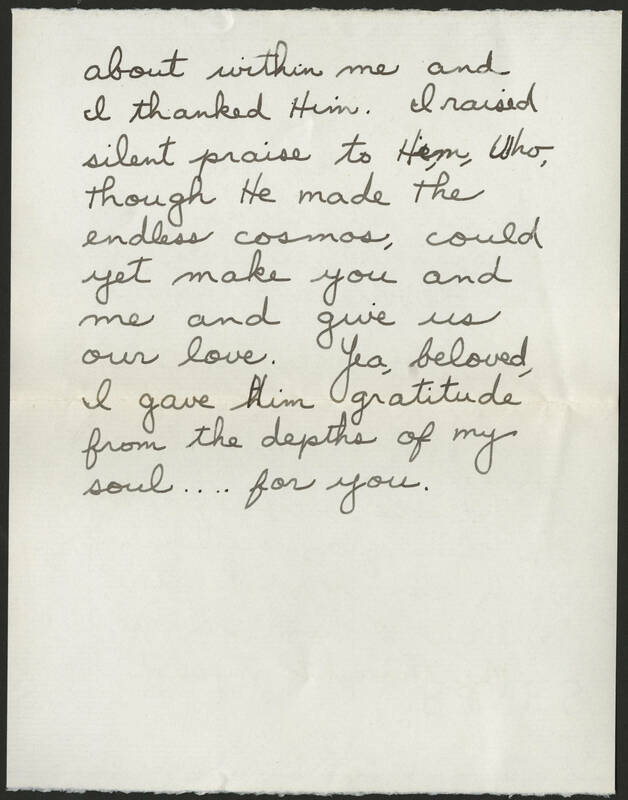 Yea, beloved, I gave Him gratitude from the depths of my soul... for you.